Our Texas certified appraisers are the leading providers of independent residential and commercial real estate appraisals in the Spring Branch West area. Our philosophy is to provide our clients with a quick, reliable and professional appraisal service that meets or exceeds their expectations and requirements for use. We have some of the best appraisal costs in the area and are known for delivering completed assignments faster than the average appraisers. Our staff of appraisers are all local to the Houston area and are experienced in appraising for varying property types, for any purposes including residential, commercial and mixed-use properties. If you have a commercial property assignment, the majority of our Texas Certified General appraisers have earned the MAI designation from the Appraisal Institute and serve a large area of South East Texas. We take pride in offering real estate appraisal services for any need including lending, private use, insurance and legal issues. Be it homeowners or industry veterans, our dedication to you remains the same – to provide a reliable and friendly appraisal service. If you have questions, or cannot find the precise service you need, you can use our online contact form or call us directly at the number displayed on this page. 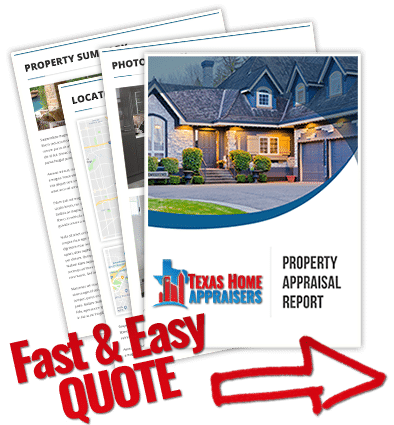 If you are looking for a certified houston house appraisers to provide a quick and friendly appraisal for your house, call the number above now or submit the fast web quote form. A sales contingency based on appraisal means that should the property appraise for less than the contract price the buyer can withdraw from the contract without penalty. For example, if you go to buy a home for $300,000 with an appraisal contingency and it appraisers for $290,000 then you can either walk from the deal or renegotiate down to $290,000. Does my house need to be clean before the appraisal? Generally not, appraisers are trained to overlook the clutter in the house. With that being said, clutter and cleanliness that is taken so far as to damage the interior condition of the house is another story. It is always beneficial to present the home in its best light while being appraised or shown to prospective buyers.